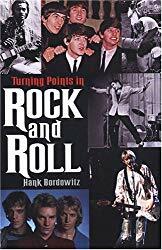 It’s been quite a while since I posted a review and Turning Points In Rock And Roll by Hank Bordowitz is to blame. I don’t remember where, when or why I bought this book, but I found it on my bookshelf and figured I’d give it a read. Some people can read more than one book at a time, but I’m not one of them. So, while the ‘need to read’ pile grew, I slowly made my way through this book. It may sound like I’ve already dissed this book, but it’s not true. The good thing about this book is that you can take your time reading it and with my busy schedule the last month or so, this book fit right in. Written in 2004 and with 227 pages divided into 20 chapters, it’s easy to digest a chapter at a time and set it down for awhile. The book starts with “1877-1977 – Edison Invents the Phonograph: Recorded Music goes from Science Fiction to Big Business” and ends with “1995 – MP3, Napster, and the End of the World as We Know It”. In between, it covers Les Paul, Elvis, American Bandstand, Chuck Berry, Beatlemania, Monterey Pop Festival and so much more. I rate this book, 4 out of 4 Beetles! 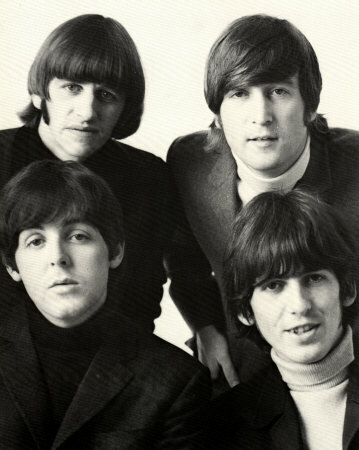 Beatles-Freak's Reviews · A Beatles-freak's review of Beatles related books, music, movies, etc.